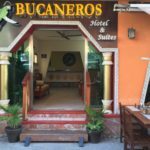 In the heart of downtown Isla Mujeres on Avenida Hidalgo, the main pedestrian street, lies the Hotel & Restaurant Bucaneros. 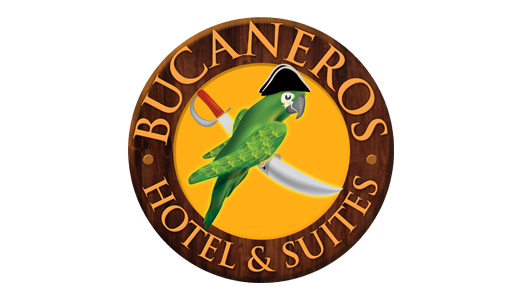 Since 1965 this family run business offers exquisite mexican and international dishes in it’s rustique style restaurant. 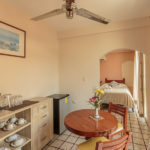 The 16 enchanting rooms are all delicately decorated in a traditional mayan-caribbean style and it’s soft and relaxing colours will help you feel your vacation dream come true. 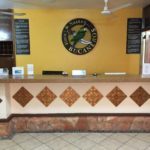 You will be only 8 walking minutes away from the turquoise water and sands of famous North Beach. 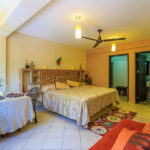 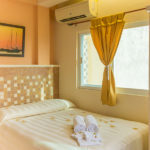 All our rooms include air conditioning, ceiling fan, safe, Cable TV and a private bathroom with hot water. 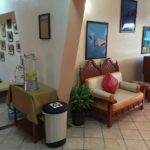 For your comfort, we have wifi service for all our clients. 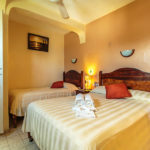 Our prices are based on double occupancy and it includes a Continental breakfast daily.